After watching Julie and Julia, meeting Helga – who makes a heart a day, following various 365 projects on Instagram and being obsessed with snails for more than 365 days I decided that I wanted to make Snail a Day in to a shared creative experience. I want others to join the spiral and feel the power of coming out of their creative shell. 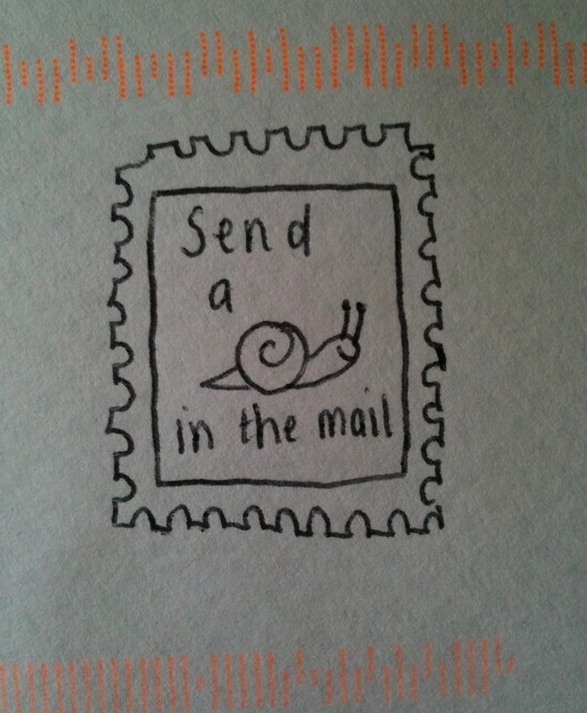 So in the spirit of sharing is caring, snail mail is the best, slow and steady wins the race, why not JOIN THE SPIRAL and send a SNAIL IN THE MAIL. It’s your snail, it can be painted, doodled, moulded, a photograph, on a postcard, anything you want.